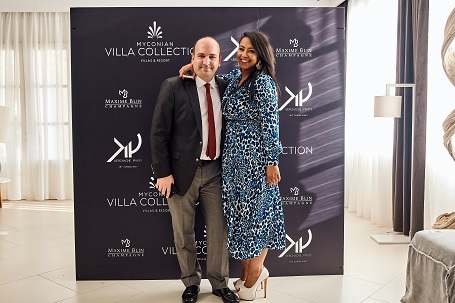 On Friday 20th of July, Maia Kerchache and Sandrine Pivaty, curators and art advisors of Kerchache Pivaty -Art Consultancy, in collaboration with Mr. Anastasios Naoum, general manager of the hotel, welcomed our very important guests to a celebration of art at the lobby of Myconian Villa Collection. 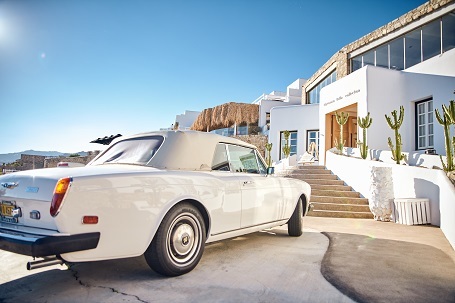 For the second year, influential artwork from all over the world travels to Mykonos, an island that has become a melting pot of art movements and perspectives, and will be showcased inside Myconian Villa Collection. The French curators and art advisors came together to challenge the Greek art scene by launching a potent new annual meeting of artists. In 2018, this initiative was given a new name – The Myconian Collection Art Show – and a strong theme: Sea, Art & Sun. 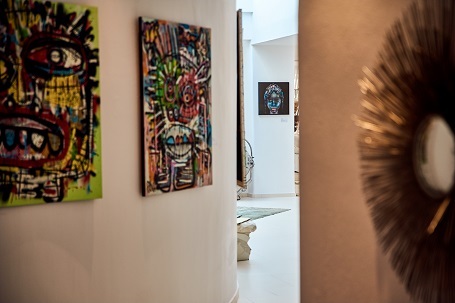 Many beloved guests discovered up closed the 22 masterpieces of artists like SUN7, PIOCH, Camilo ALVAREZ, Thomas CANTO, SELABRE, P-DRAM, Josue COMOE and Ingrid BAARS and celebrated art with a cold glass of Maxime Blin champagne!. 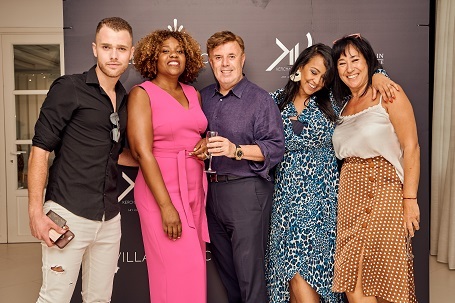 Myconian Villa Collection guests as well as famous Mykonos lovers such as Lakis Gavalas, Nasos Galakteros & Nancy Zampetoglou, Fotis Sergoulopoulos, Andreas Manessis, Georgios Makrygiannis and his wife Maria Makrygianni , from Georgio & CO, Ada Kamara, Maria Tassou, Julian Christo Sioulas & Marilena Panagiotaki from Konstantinos Jewellery, Petros Nazos to name a few were encouraged to get in touch with Maia & Sandrine to receive expert insight into the work of these extraordinary artists. The artworks are exhibited inside Myconian Villa Collection and are available for purchase to public until September.